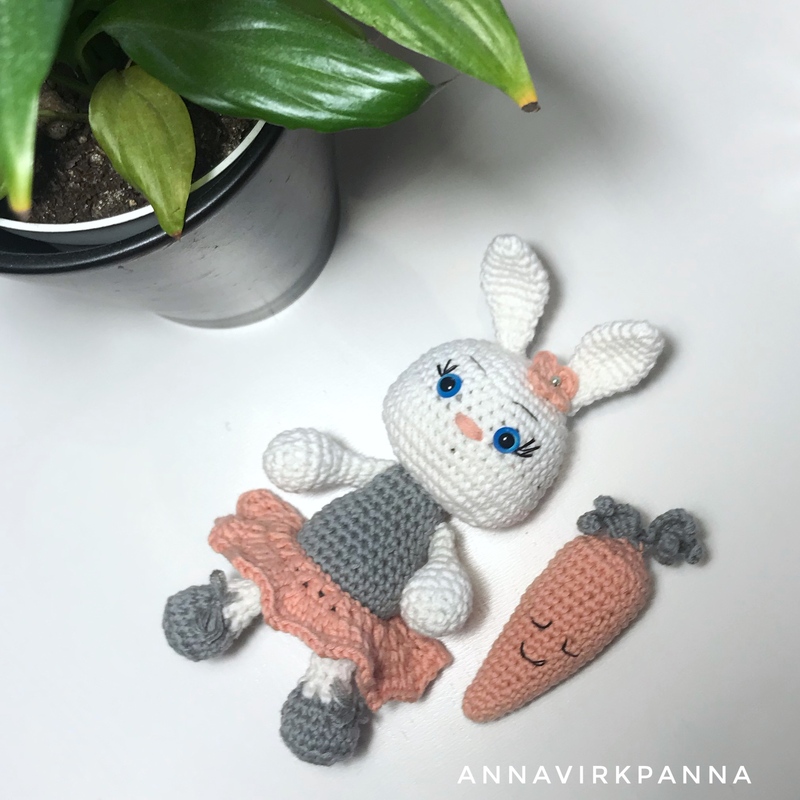 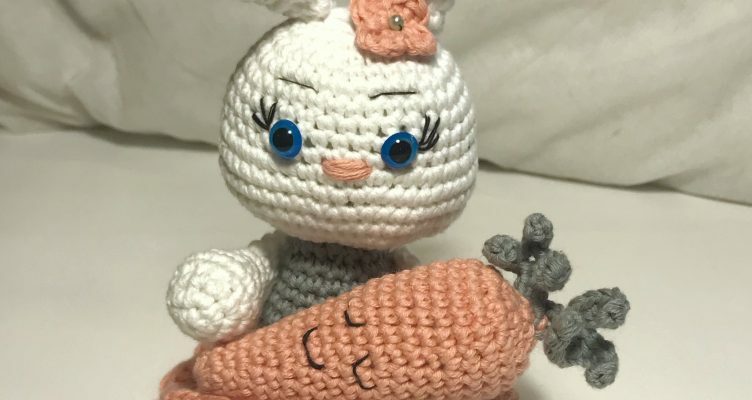 A cute bunny with her snuggly little carrot. 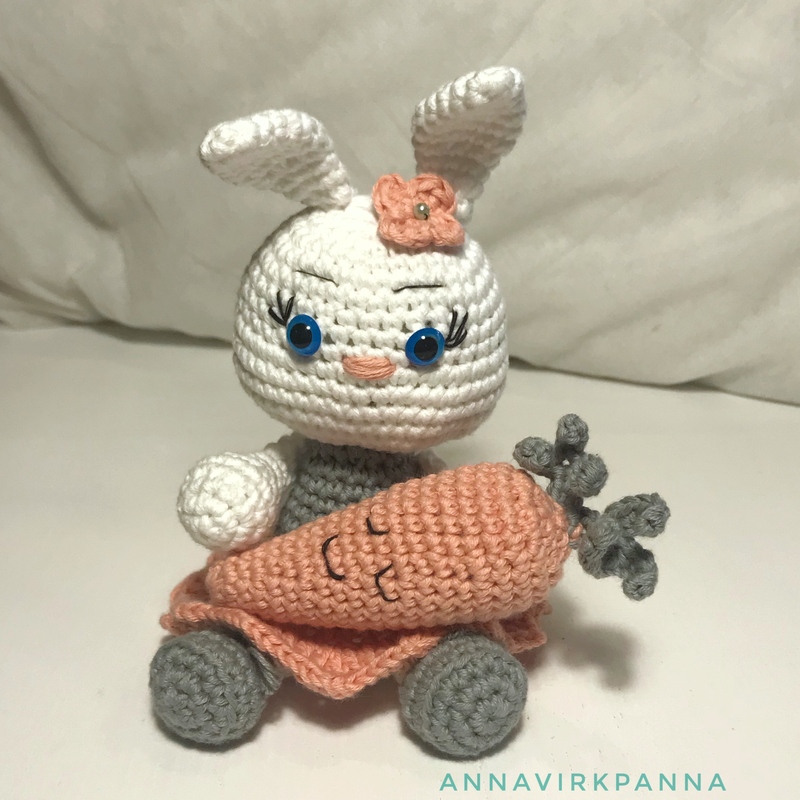 Lykke loves her carrot and wants to bring him everywhere she goes. 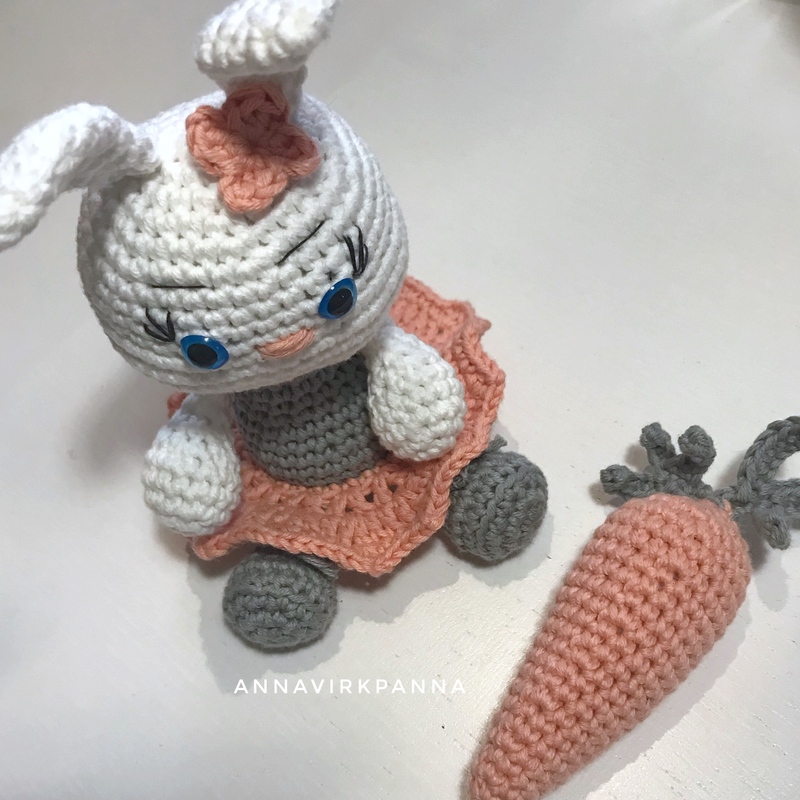 La Mia Mini Cottony, 1 ball each of white, peach and green.